Sooooo excited today! 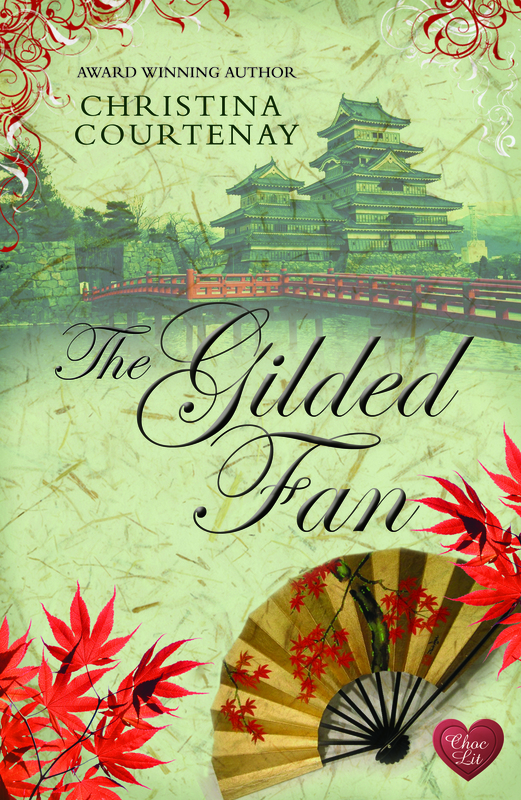 To celebrate the publication of Christina Courtenay’s new novel, The Gilded Fan, we have a fabulous interview with the hero, Nico Noordholt, captain of the Zwarte Zwaan, a ship belonging to the Dutch East India Company. 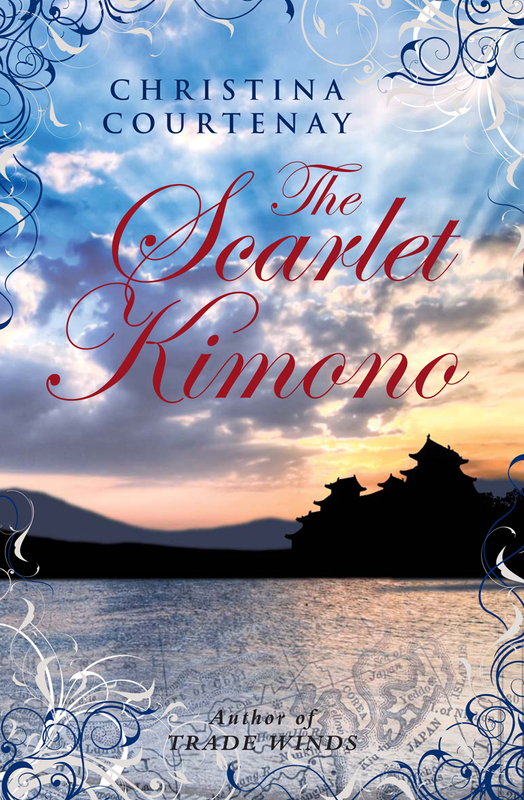 Author Christina Courtenay and publishers ChocLit are giving away a copy of The Scarlet Kimono, which is the prequel but can be read as a stand-alone. Just leave a comment below and we will select a winner at random next Wednesday, 6 March. So, Nico, that’s not your real name, is it? – Yes, it is now <frosty glare>. Look, I had some issues with my father – basically the old curmudgeon disinherited me and considered me a wastrel – so when I decided to leave England and become a Dutch citizen instead, I didn’t see why I should keep his surname. Would you have? Nico is just short for Nicholas, which is what I used to be called. Right, well, it’s good to know you weren’t lying. – Don’t you start! I never lie, I’m an honourable man. I just have my own ‘moral compass’ as it were. Ok, ok. Let’s talk about your recent voyage to the Far East. We hear you had a rather troublesome passenger on the way back. Want to tell us a bit more? ­– Oh, yes, the worst! <laughs and shakes head> Midori Kumashiro was the last person I wanted on board my ship, let me tell you. I mean, can you imagine what a stunningly beautiful young woman is going to do to the hundred-odd men that comprise the crew of a trading ship, and who have to be at sea for months on end without so much as seeing a woman? Honestly, bringing her along was madness. And yet you did! – Well, what choice did I have? The Japanese authorities were going to execute her and I couldn’t let that happen. Despite her background, she was as much a foreigner there as I was, to all intents and purposes. I did refuse at first but … all right, I admit it, one smile from her and I completely lost my wits. Sad, very sad. Now then, you’re heading back to Japan again, is that right? – Yes, very soon now. Meanwhile I’m trying to learn some Japanese. Even though I’m bringing my own personal interpreter this time, I like to be able to talk to people myself. I think they’d prefer it too, consider it a courtesy, you know? Are you finding it difficult? – Not really. I’m never going to get the hang of all the nuances of how to address people of different status and things like that, but I should be able to grasp basic kitchen Japanese. I learned Dutch after all, and the pronunciation was hell, begging your pardon. Japanese can’t be any worse than that. Yes, I see what you mean. Will you ever come back to England, do you think? – Eventually, yes. Now I’ve made my peace with my family, I can see myself having a little house in Plymouth for long visits, as well as my permanent abode in Amsterdam. And you never know, there may be a child or two by then. Knowing my stepmother she’ll want to see them. Going Gaga for Nell Dixon’s new book! 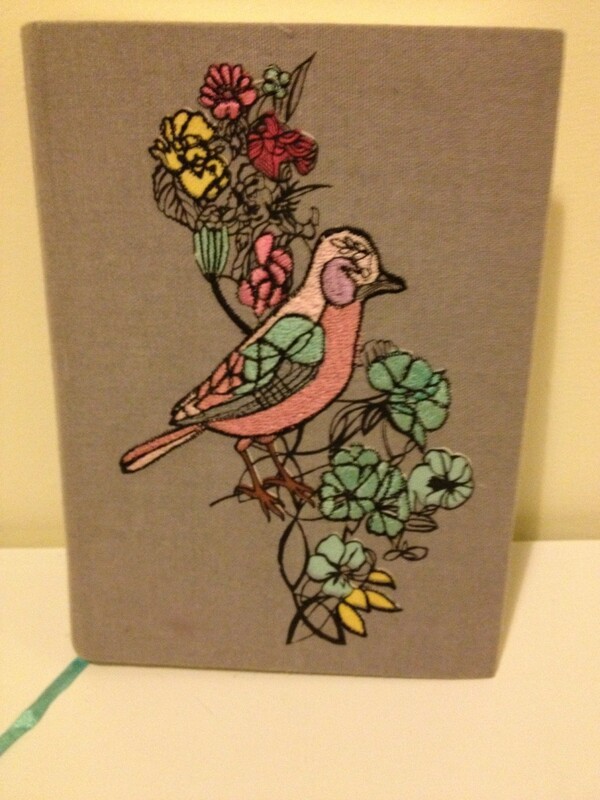 I am very pleased to welcome on the blog today, the very lovely Nell Dixon. After spotting a post on Facebook from Nell, asking for reviewers to read her latest novel, Radio Gaga, I messaged her straight away. I loved the sound of the book from the blurb and was eager to read it. And I wasn’t disappointed. It is a fantastic read – funny, emotional, great storyline and vivid characters. You can read my full review on Amazon, here. Over the airwaves everyone can hear you scream! Radio researcher and part-time presenter Chloe Lark is certain her big showbiz break is just around the corner. Live it Up radio may not be the big time, but surely – one day soon – fame will come her way. And, if she could convince the hunky guy next door to give her a chance, her love life might improve too. Welcome to Romaniac HQ, Nell, how are you today? I’m good, thank you so much for inviting me! You are more than welcome. Celia has been baking again so please help yourself to some cake and tell us a little about your latest novel, Radio Gaga. Yum, cake! I’m supposed to be eating healthily but I’m sure one bite won’t hurt. 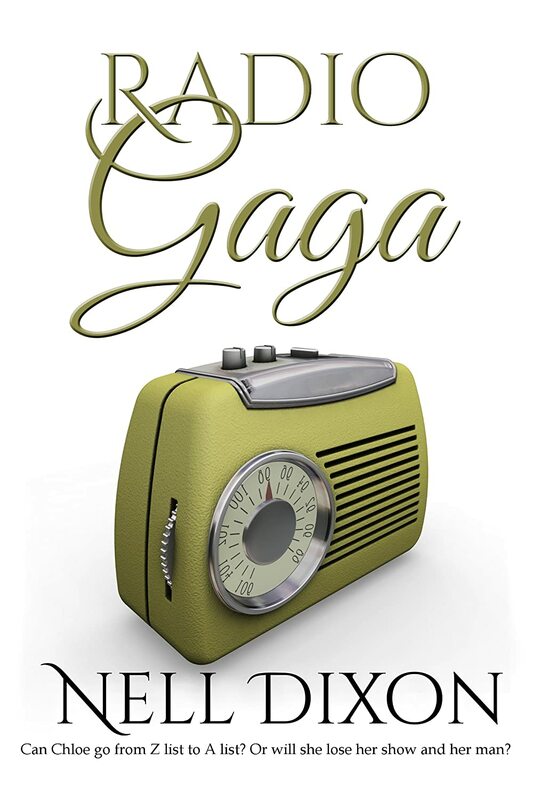 Radio Gaga is Chloe’s story – she’s a radio researcher and part time presenter who longs to be good at something. The only thing she feels she is good at is being famous so that’s what she wants to be. Except, of course, life never quite works out as she planned it. What did you enjoy most about writing this book? Did you have to abseil and handle snakes as research? I skipped the abseiling as I am petrified of heights. I once got stuck on an army assault course rope bridge thing and had to be rescued by two soldiers. I have handled snakes though and I did consult zoo keepers about snakes and their habits. Have you always wanted to be a writer? What made you begin your writing journey? I’ve always been a writer. I joined my first writers’ group when I was twelve and finished my first book when I was seventeen. That one will never see the light of day! Which is a good thing. I had a break when my girls were little but came back to it again after a pretty serious health scare about ten years ago. Sorry to hear that, Nell, but great that you started writing again. How many different genres do you write? 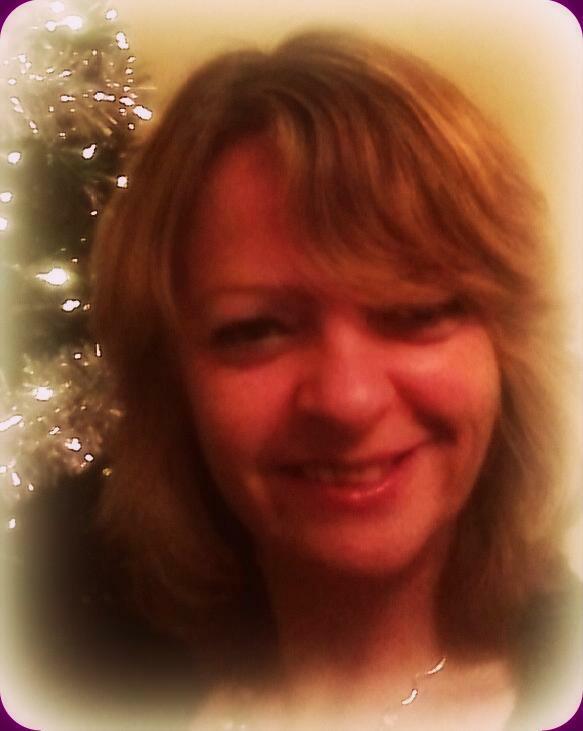 I write chick lit, contemporary romance and romantic suspense/mystery. I also have some children’s stories which may come out later this year under another name. Sounds exciting! Is writing your full time occupation? What is your writing routine? I work part time for a disability charity managing a therapeutic community agriculture project which takes up a lot of my time. Writing has to fit around my family and my day job. I usually write evenings and weekends and fit in promo and the business side of writing as and when I get the chance. When did your love of architecture begin? I adore buildings, they fascinate me and always have done. They tell a story of the people and lives that are lived there. Cathedral and church architecture is especially interesting but I also love well designed modern buildings which fit their surroundings, like Cardiff’s Millennium Centre. I love regency. I like the realism of the Georgians. They were planners and thinkers but were also realists. This is reflected in their buildings and the plans of their gardens. We know this is a hard question, like asking a mother which is her favourite child, but do you have a favourite book? Or a top three? Oh, that’s mean! (We know! Cue evil laugh mwahaha!) I may need more cake! I always think my most recent book is my best, so Radio Gaga I think is my best to date but I have special fondness for Marrying Max and Animal Instincts. I think my voice and humour shows most in those as, like Radio Gaga, I wrote them to please myself. · E-Book or paperback? E-book – I love my kindle. · Tea or coffee? Coffee, tea makes me ill.
· Facebook or Twitter? Facebook – Twitter is like going to a party where you don’t know anyone. · Up or down? Up – down is depressing. · Pen and paper or straight to computer? Computer – my handwriting is getting worse. · Relaxing on the beach or forest excursion? Beach. Spiders can drop on you in a forest. · And lastly, what is your guilty pleasure? I adore Made in Chelsea, Big Brother and I’m a Celebrity Get Me Out of Here. Thank you so much for coming in and talking to us today, Nell, it’s been an absolute pleasure! Radio Gaga is out on Friday 1st March and you can get your copy, here. And check out Nell’s website, here. Welcome, Hazel, to the Romaniacs sofa. What can I get you? We have some heart-shaped chocolates from Valentine’s Day. Rose creme? Oh, don’t mind if I do. Can I interest you in some liquorice in return? No, thought not. It’s an acquired taste and somewhere along the line I acquired it. Along with a love of aniseed balls which sounds faintly sniggery, but there we are. I find aniseed balls a little hard, personally. They make my teeth rattle. Recently, you went to a Paloma Faith gig. What is it you like about Paloma? Sensational voice, great clothes, fab sense of humour, very down to earth, believes in connecting with her audience. But above all, she understands about putting on a show. I love people who really go for it – can’t stand it when performers give off that ‘I’m just here adding to my pension pot’ vibe. Paloma is ‘on’ from the moment she’s on. 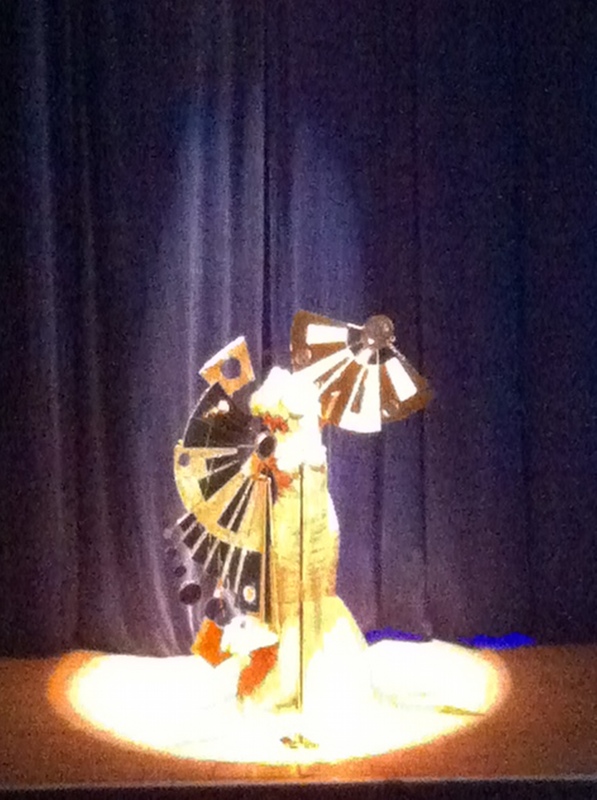 Paloma has a fantastic stage presence, which leads us to acting. Do you like to be on stage, or backstage? Why? I do take my turn helping backstage because there are always more people in our drama group who want to act than there are parts – so you have to let everyone have a go. But I always want to be on the stage. There are very few things that compare with that instant feedback you get when you’re acting. Oh, all right then, I’ll admit it, I’m a terrible show off and thrive on the love you get from a good audience. How did your day at Denton Burn Library go? Please tell me about it. Oh it was brilliant. Newcastle City Council is proposing massive cuts to arts funding which will mean a range of libraries being closed. Ann Cleeves, author of the Vera books, had the initial idea for writers and performers to hold events in the threatened libraries to raise awareness of what might happen. 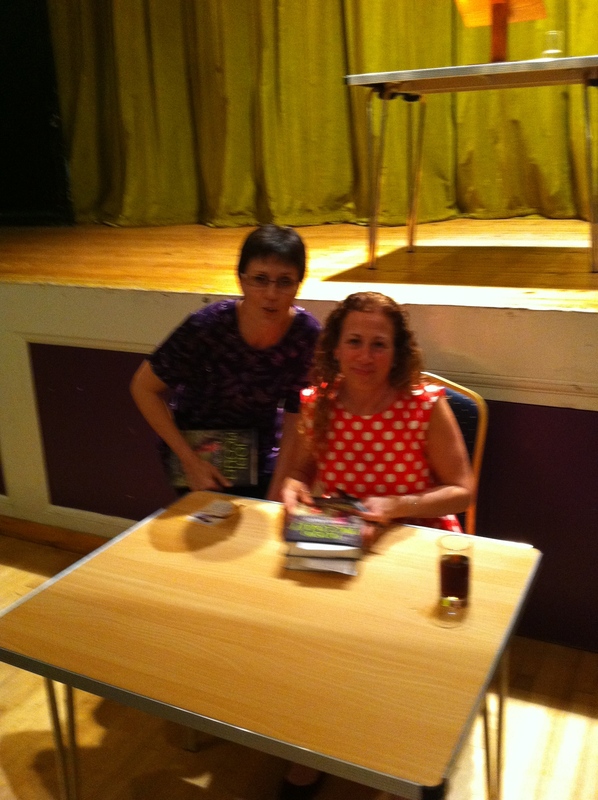 My friend Mari Hannah who also writes murder novels, got a group of us together in Denton Burn. We had singers and poets and writers and a good crowd of people in the audience. Kind of ironic that murder writers are taking the lead against the killing off of libraries. How did you get into copywriting and please explain what that involves? As a copywriter, you’re responsible for coming up with the written content of advertising – whether that’s words for an advert or a brochure or a script. In reality, you probably also play a part in coming up with the basic concept – it’s usual for a copywriter to be teamed with a designer so you kick ideas around together. And drink beer. After which all your ideas seem splendid. How did I get into it? Well, I wanted to do it after university but lacked the confidence to sell myself to an agency. It was only after six years as a civil servant when I thought ‘stuff this, I’ve only got one life’ that I started applying to agencies and got lucky. In what ways can this help and/or hinder short-story writing and novel writing? It’s a good training ground. It really teaches you to be succinct because you have to get your main message across in a limited space. It also gives you an appreciation of the market you’re writing for. Where it doesn’t always help is that you’re hardwired to come up with something memorable, maybe even gimmicky. That’s not good when you’re trying to be true to the emotion of a story, particularly in a romance. What drew you into the world of fanfic? (Hazel puts her hands over her face and blushes). Lust. I saw Richard Armitage in North & South on the BBC and then as Guy of Gisborne in Robin Hood. I had a google of him (as you do) and stumbled on the C19 website. That’s where I discovered fan fiction. After reading some of it I was inspired to write my own story. It came out as a romance and it felt as if I’d found my writing voice. At what time of the day do you prefer to write? When my children were little, the only uninterrupted time in which I could write was when they were asleep. So I wrote late in the evening and on into the night. Now I can write more or less when I like, but I still think I do my best work in a house filled with sleeping people! Let’s move on to your books. 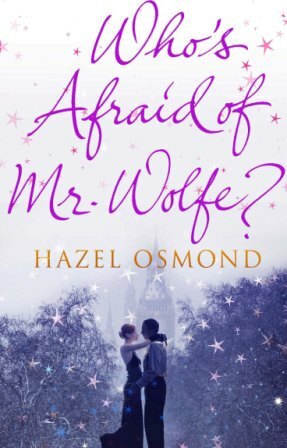 Who is afraid of Mr Wolfe, and why? Oh, good question. Well, Ellie should be afraid of her new boss, Jack Wolfe, who is slowly laying waste to a swathe of the female population of London. But Ellie believes her level headedness and her humour make her immune to his charms. Wrong. She falls for him and then finds out that there’s a very big secret about Jack that makes him even more likely to cause her heartache. The book was my take on all the elements that made up the romances I loved to read when I was a teenager – Alpha male, scruffy girl who has to up her game, gay best friend, etc. but I wanted to shake them up and give them a twist. 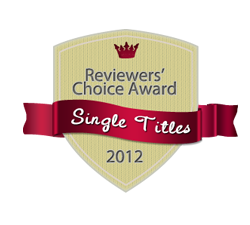 It was short listed for Romantic Comedy of the Year by the RNA in 2012 and I was heartily chuffed about that. What was the inspiration behind The First Time I Saw Your Face? Years ago I read about a journalist who had managed to work undercover at BuckinghamPalace for months without being discovered. He got away with it because he looked the part. It set me thinking about how much we judge by appearances. In the book, I play around with that idea – Mack is pretending to be someone he isn’t and gets accepted by people at face value, whereas Jennifer has to cope with being judged negatively purely because of the way she now looks. And Northumberland inspired me – so the book is also a great big, gorgeous love story to the county. I’m hoping to start a tourist boom. Why do you like humour in your books? A person who cannot laugh at their own failings and the joys and absurdities of life is my idea of hell. I think taking yourself too seriously is a major character flaw!! Humour in your writing can sharpen all the other emotions – it’s that bitter-sweet thing. I also feel that if you use it properly, it can widen out the story so that it’s not just about this man and this woman, but about how life plays around with all of us. I always feel more sympathetic towards characters who are having a crappy time and can raise even the tiniest laugh as opposed to those who sob in a corner. Book 3, ‘Playing Grace’, is out this summer – it’s set in London again, and shows what happens when a seemingly uptight and very controlled woman gets thrown together with an off-the-wall young American guy. I’m also writing Book 4 at the moment, which will be a return to a Northumberland setting. Working title is ‘The Mysterious Miss Mayhew’ but I’m rubbish at titles so it’ll be something different when it comes out. Can I have chocolate flowers? No, okay then … flowers. Love white ones particularly. Theatre. Do like cinema, but sometimes it doesn’t seem as honest as theatre – too glossy, more about the stars than the story. Laughing like a drain at the thought of me in a nightclub. Wouldn’t know what to do with myself. Concerts are my thing. I try to go to a lot more now the kids are older. I’ve even been to a couple with them which works as long as we split up on the way in and I don’t do any dancing. Anniversary. I had a Saturday job in a flower shop and am emotionally scarred by the memory of having to sell price-hiked red roses to lovesick men on Valentine’s Day. 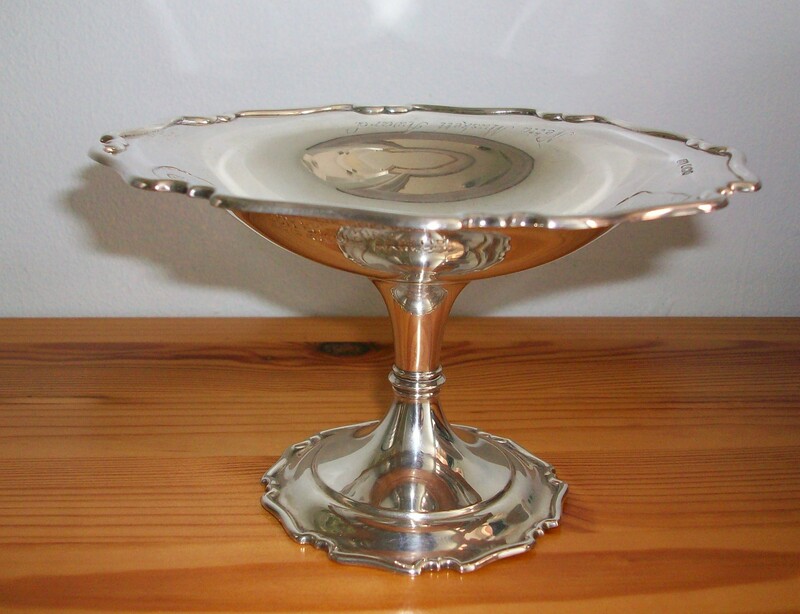 I like celebrating Anniversaries – it’s a bit like getting a long service medal. Oh dear. Hate slapstick. Would rather eat my own hair than sit through that. Mind you that would be quite funny in itself. You can find Hazel on Amazon, here. Madison Albi is a scientist with a very special talent – for reading minds. When she stumbles across a homeless man with whom she feels an inexplicable connection, she can’t resist the dangerous impulse to use her skills to help him. J is a non-person – a vagrant who can’t even remember his own name. He’s got no hope, until he meets Madison. Is she the one woman who can restore his past? Madison agrees to help J recover his memory, but as she delves deeper into his mind, it soon becomes clear that some secrets are better off staying hidden. Is J really the man Madison believes him to be? Out of Sight Out of Mind is a well-known phenomenon in writing circles — the dreaded second book. It is legendary that second books are notoriously difficult to write. An author may have been working on their first book for years, and it hits the publisher’s desk and then the book- stand as a highly polished article. The second book, possibly written to a deadline for the first time, involves a whole new discipline on the part of the writer. There are no expectations of a first-time writer — no one knows what will be between the covers — but a second book has something to live up to. In the case of Out of Sight Out of Mind, it was actually written before Never Coming Home. When I had the chance to pitch to Choc Lit, I went with my most recent book, but they were interested in both the books that had been competition finalists in the States, and asked to see Out of Sight Out of Mind as well, so they were both submitted at more or less the same time, but in reverse order. Which of course doesn’t mean that readers won’t be expecting the same style of read — romantic suspense — with similar thrills and emotional upheavals, from Out of Sight Out of Mind, as they got from Never Coming Home – they are entitled to! I hope I will not disappoint them. If that isn’t enough of a challenge, there is an added complication in that Out of Sight Out of Mind is a paranormal romantic thriller. Paranormal can be a bit like Marmite. I know that some people don’t like it. My Mum, for one. I’ve got used to her sorting through a pile of books, just brought from the library, and asking suspiciously. ‘Are there vampires in this?’ Those books, most definitely go on my reading pile. Mum does not do vampires. But I can assure everyone that Out of Sight Out of Mind is a vampire-free zone. (Are you listening, Mum?) The paranormal feature of the book is mind reading, the protagonists are human, and the thriller element comes in their efforts to stay out of the clutches of an organisation — called The Organisation — which wants to control what they have. I think it is as much a thriller as Never Coming Home, and that it may be a little more romantic — but I also think that I may be a bit biased. Introducing an extra ingredient like the paranormal is still perilous. The readers will judge. Can you tell us anything about what you’re working on at the moment? I have a novella that I am trying to complete. As far a ‘Book three’ goes – there was A Plan – a book written a while ago that I want to revisit. But you know what happens to plans … At Christmas I got an idea for a new story involving a robbery, and that seems to have taken over my imagination to the extent that it looks like it will be written. I’m at the very important stage of staring vacantly into space and claiming to be working out the plot at the moment, which is, of course, a vital prelude to actually doing any work. Out of Sight Out of Mind is a paranormal thriller, what are your thoughts on paranormal activity? I think there is a vast amount about the universe and the human brain that we don’t yet know, so I am open to ideas. Like all writers, I’m curious. Who would you most like to be haunted by? No definitely not. If I have learned anything from my heroes it’s never volunteer classified information. Your debut novel won the RNA Joan Hessayon Award last year – and I believe it’s now won another! Can you tell us about your latest award? This is a confession of infidelity. 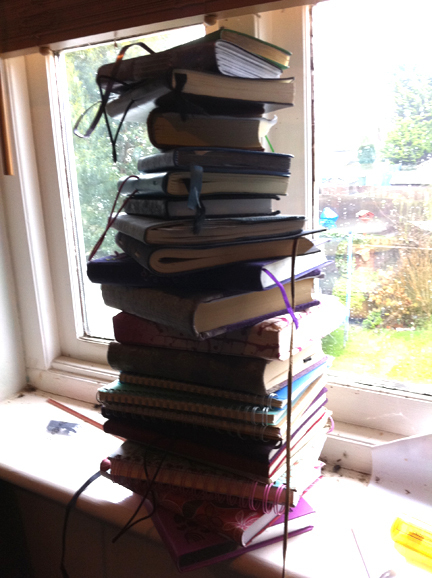 I have two shelves full of notebooks – and none of them are full. Some of them are completely empty. Yet I can’t walk past a stationery shop without looking for more … always seeking the elusive perfect notebook; The One that will end up containing the perfect stories, as if the notebook itself can produce words. Each time I buy one, I think this is The One, the one I’ll love forever, the one I’ll keep writing in until the bitter end… but something always goes wrong. We fall out of love and before I know it, I’m back in Paperchase, flirting with a shiny new one. It’s always been a problem – in school, I’d start every term in love with my beautiful exercise books, all covered in wrapping paper, or carefully decorated with cuttings from magazines … then someone would sit next to me with their books covered in something prettier, sparklier and mine would look dull in comparison, and I’d spend the rest of the term coveting the books next to me. This year, I’m trying to stay faithful to one notebook at a time – well, maybe two; one small one for small bags and a bigger one for big bags. And maybe one for my desk at work and one for my desk at home. I wouldn’t want to get caught short when THE idea strikes, would I? 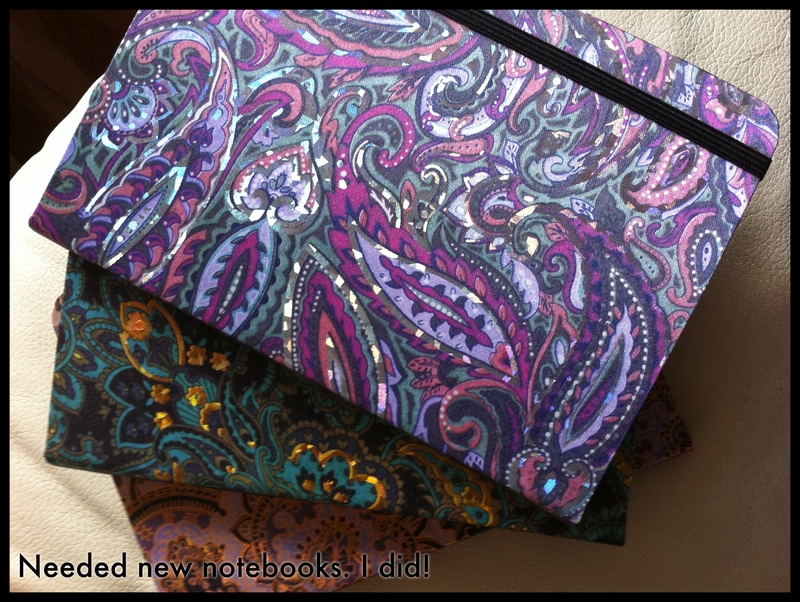 Now it’s time for my other Romaniacs to ‘fess up – are you one notebook women, faithful to the end? Or are you spending half your income each week on lovely notebooks and pens and paper and folders and more notebooks and… mmmm…. Laura: I have a secret stash. I’ll show you mine, if you show me yours. Need a quick fix? Whatever colour, whatever size you want, I’ve got it. Clean, fresh, virginal pages, lying between exotic covers, waiting to be inked on. I have several on the go at once, but all for different reasons. I fill them to my satisfaction, home them, and then delight in the thrill of starting something new. Celia: I was going to say that I’m not much of a one for notebooks but then I looked in my desk drawers! The one I use most is the fabulous big gold and dark green one that lives on a shelf right next to the desk. It was a present from my daughters, and last May I started writing down competition entries or anything writing-related that I was doing or had achieved. It’s such a pleasure writing in this book with my Christmas pen – thick cream pages, decorated edges and clasps to keep it shut. 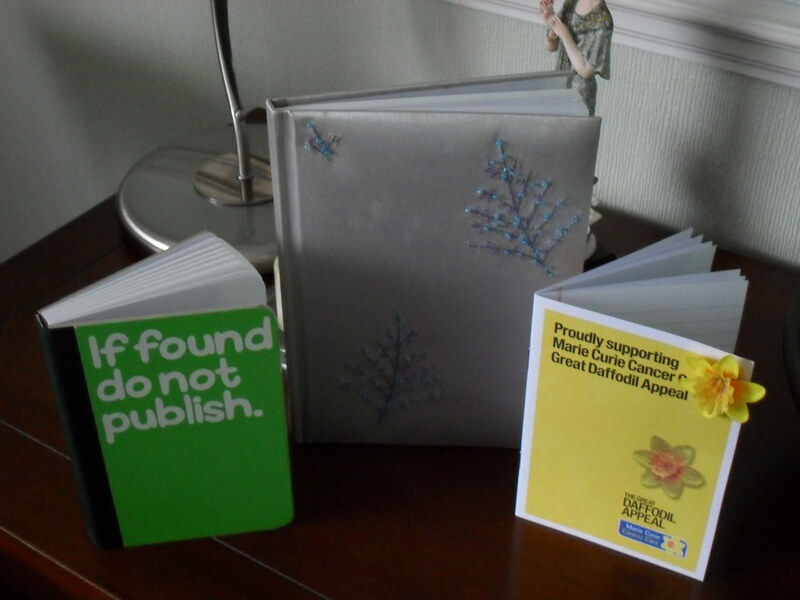 The smaller green and gold one is my diet diary and it doesn’t have much in it. Sadly, this is not because I don’t eat much but because I’m usually too busy eating and drinking to write in it. Catherine: I’ve never really had to buy notebooks because since I was young my family and friends have brought them for me. My problem lies with not being able to get rid of any of them. When you’ve spent your life jotting in notepads, when you look through them you think there’s gold in that there notepad. And that one. And that one. Shame I’ve never found time to go through them all. Debbie: I give up with notepads. Like the others, I have piles of them but interestingly the only ones I use are of the ‘value’ or ‘homebrand’ variety. Following an Arvon writing course I did invest in a couple of moleskin ones which come out if I’m attending a writing course or any RNA events but otherwise, the trouble I seem to have with notebooks is that most of them are gifted ones and far too beautiful to write in! Apparently, her sister has a gift for writing poetry and in an attempt to encourage and inspire ‘F’ bought her a luxurious notebook for her ideas and notes. After a few weeks, she discovered her sister hadn’t used it and when asked, her sister told her it was because it was “too lovely to write in…” Following lengthy discussions with her sibling and others, F concluded that her sister didn’t feel she was ‘worthy’ of the notebook. It was as if somehow, it was ‘too good’ and too beautiful for her to write in; that her writing did not measure up to the paper. Lucie: I think it comes with the job! I don’t think any writer would be without at least one trusty notebook – or several hundred in Sue’s case 🙂 – to jot down their musings. I have a few notebooks. Mainly I have a purple one that goes in my bag for when I am out and about, one on my desk which isn’t as pretty and a few stored in my desk that are all half written in. I don’t think I’ve ever filled a notebook. I’ve always been teased away by another before getting quite to the end. I do find it hard to go into places like WHSmith, Paperchase and Staples and not be drawn straight to the stationery section. Come to think of it, I think I’m due a new one….. Some stories, whether in novel, song, poem or film, get right beneath my skin. They’re the ones that stay with me. I’m obsessed at the moment with songs from Paloma Faith. I made mention of it on my site last week. It’s possible you’ve caught me posting on Facebook too. I’ve listened to both her albums for some time, but it’s now only that I’m relating to the lyrics. Is it that I’m paying proper attention to the words or that the songs are relevant to this point of my life? Or have my life experiences been such that I now understand more? 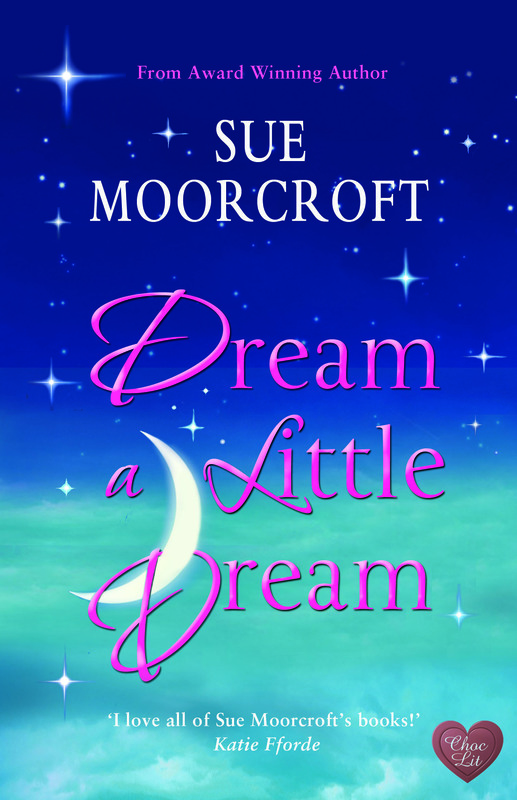 Recently, I read Sue Moorcroft’s Dream A Little Dream, and aspects of the story resonated within. It was the same with Me Before You, Jojo Moyes.When I read these books, their subject matter was extremely pertinent to what was happening in my life, and their effect on me was made all the more powerful by the skill and care with which the books were written. The first book to make me cry was Love and Devotion, Erica James. If I remember rightly, I read it not long after I’d had my second child. I won’t give away the plot, but the questions the book raises, and the fact the tragedy that befalls the children in the story is not outside the realms of possibilty, affected me greatly. My Sister’s Keeper, Jodi Picoult, was the second book that made me weep. I was watching Home Alone with Child Number Two a few days ago, and even though I warned him I would cry at the end of the film, he was still surprised by my emotion. ‘Really, Mum?’ he asked, eyebrows as high as the Empire State. ‘Really,’ I replied, as Gajitman passed across another Kleenex. Have you ever watched Beaches? Yep. Makes me cry every time. Sound of Music does too. And I know why. It’s because I understand the parents’ point of view, and feel for the children. Since having my two, my tissue expenditure has increased ten-fold. So, which books, films, songs or poems get beneath your skin? Which make you sob your heart out? Why are we affected so much by stories? 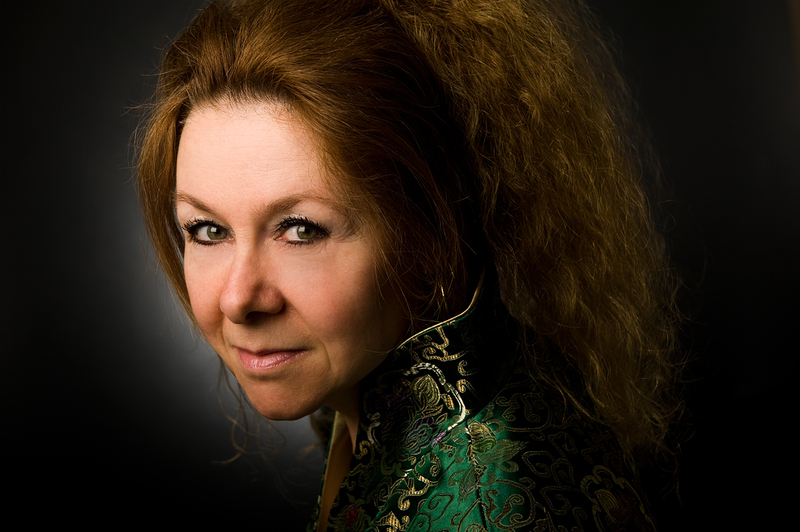 Addicted to Fiction, with Sharon Goodwin. Hello ladies, I can’t tell you how excited I am to be invited into the inner sanctum to talk book blogging with you. I really enjoy reading your posts and now here I am! My days of blogging began during a lull in projects – in my spare time, I had spent 3 years tracing mine and my OH’s family tree and not being able to go any further (and with my family fed up with traipsing around graveyards around the country) I needed a new challenge! I’ve always been an avid reader (and a secret poet – although not quite that secret as some of my poetry is showcased under my pen name Cerris ) My blog came about quite by chance, having started entering competitions via blogs (not for books – surprisingly enough), I liked the thought of a virtual community and being able to chat all things books via comments and social media … and so Jera’s Jamboree was born on 6th February 2011. I’ve reviewed some fantastic books, hosted interesting guests, created interviews and taken part in book tours. I’ve had authors compliment me on my PR skills on Twitter and I’ve jokingly asked if they could use my services. That was the kernel of what was to become Fiction Addiction Book Tours. During October half-term, that idea grew full fledged after researching and then approaching a couple of authors who I knew would be honest with me. My first step was to implement a Tour Host database because how could I coordinate virtual book tours without any hosts? I have a fantastic network of bloggers who immediately signed up whom I trust implicitly. The database is expanding but I always research new tour hosts to see if they would be suitable. So what is Fiction Addiction Book Tours? As the name suggests, we coordinate and promote virtual book tours at very reasonable costs (for example a five stop Cover Reveal tour is £20 and a five stop Standard Tour is £30). How does it work? Once tour dates are agreed with authors I create a Press Kit which is then shared with the relevant tour hosts on the database (tour hosts sign up for all different genres). A tour badge is created which hosts display on their blogs (this links back to the authors website). Once the tour is full I share all relevant information with the author. I quite liked the idea of showcasing the books on tour, even when they are full, and so Fiction Addiction Books on Tour was created. One month before the tour is due to take place, a tour post goes live on the website with all relevant details. Two weeks before the tour begins an event is created via Facebook and Goodreads. One week before the tour begins a feature post goes live on Jera’s Jamboree. Also, information is pinned on a dedicated Pinterest board. All of these posts are tweeted about and linked to a Facebook page. Once the tour begins, tour hosts, ourselves and the authors promote the posts via Twitter and Facebook. Authors have full control at all times, for example they are able to stipulate the posts they would like on tours (ie a 5 stop tour = 3 x reviews, 1 x guest post, 1 x interview). The Press Kit is not sent out until the author has seen it and agreed to its contents. The tour badge is not shared unless the author is satisfied with the graphics/design. Fiction Addiction Book Tours ticks all the boxes for me. Books (of course! ), organising (I’m a list person), communicating (certainly not lacking there) and creating. This is something I really love doing and it is FUN! Thank you for listening to me today. Don’t hesitate to get in touch. You’ll find me at fictionaddiction.booktours@gmail.com. It must be time to quaff that delicious looking beverage beside me now.